A few years ago, Congress radically changed the rules regarding Social Security Disability Insurance benefits. These changes included streamlining the process and increasing the number of qualifying conditions. As a result, acceptance rates are now rather high. Yet in many ways, the overall procedure is much the same. The SSDI bureaucracy is still one of the largest in Washington, and that’s saying a lot. Moreover, due to budget cuts, there is less money to distribute among more qualified applicants. Since SSDI is both a legal and a medical issue, it is a good idea to call Dr. Bill LaTour or a similar professional. Dr. LaTour is both a doctor and an attorney. So, he can assess both your medical disability and your legal options in terms of obtaining SSDI. 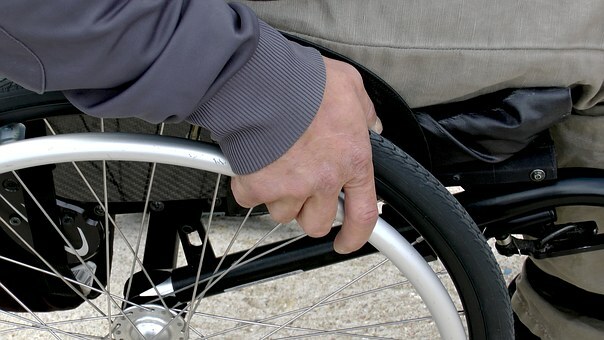 Since many disabled people have limited mobility, it’s also a good idea to work with an attorney that makes house calls. That way, you have one less place to go. To give you a general idea of how the process works, here are a few little-known facts about SSDI. Of course, there is absolutely no guarantee that the Social Security Administration will approve your claim. However, there’s also no guarantee that the SSA will deny it. In fact, about a third of claimants are approved on their first go-around. The acceptance rate is even higher at the appeal level. During the initial screening, the officer basically just looks at the paperwork. During an appeal, an attorney can introduce evidence, make legal arguments, and present a much more compelling case. Claimants who successfully overturn prior denials on appeal usually receive retroactive benefits back to the date of the original claim. Since the screening is a paper review, claimants need to have lots of paper for the officer to review. But quantity is not nearly as important as quality. There are certain items that the inspector needs to see, and certain items that will only slow down the review. To assist claimants, the SSA recently published a guidebook that points out the kind of information needed. Basically, the claimant must produce a medical diagnosis from a qualified physician which states that the claimant has a listed condition or one that is very similar. That condition must either be terminal or be expected to last at least twelve months. The problem here is that no physician ever diagnoses anyone as “disabled.” That diagnosis varies. For example, an agricultural laborer probably cannot work with a damaged hand, but such an injury might not affect a college professor very much at all. So, in addition to the medical information, have data about your age, occupation, and educational background. Additionally, it may also be a good idea to include a brief narrative about how your condition affects your daily life. If you still get denied in the initial phase, do not fret. Denials still far outnumber acceptances. Instead, partner with an attorney and plan your appeal. That’s the best way to get the benefits you and your family deserve.